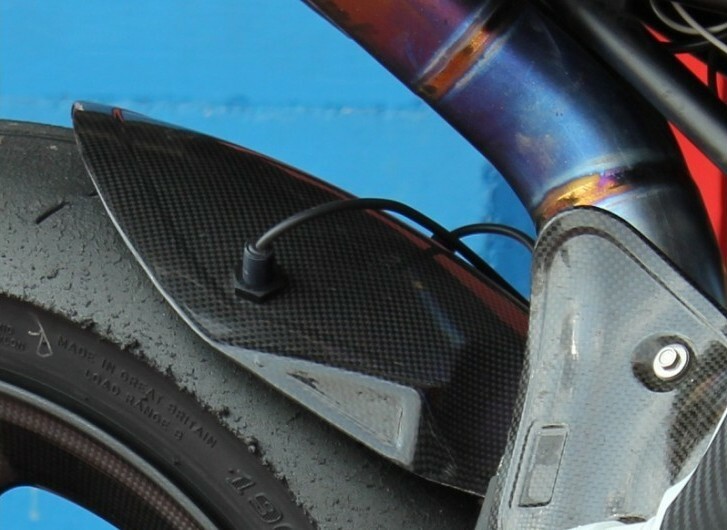 MRT Tech offers tire temperature sensors that warn the rider when the tire temperature is below a certain set value. The system is composed of an ECU, 2 infrared temperature sensors, and 2 bicolor LEDs. The temperature of the tire is continuously monitored by the 2 infrared sensors. If the temperature drops below the set value, the LEDs will blink in red; fixed green-lit LEDs indicate the tire temperature is OK.
Buy from our e-shop: shop.sbk.ee or visit us and see for Yourself!